♥ Jollein Playsuit Octopus Gray ♥ Fast delivery ♥ Free..
♥ Jollein Playsuit Black Stripe ♥ Fast delivery ♥ Free..
♥ Jollein Playsuit Happy Croco ♥ Fast delivery ♥ Free ..
♥ Jollein Salopette Cotton wrinkled gray ♥ Fast delivery..
♥ Your Wishes summer suit Deap Sea Blue ♥ Postpay possib..
♥ Koko Noko jumpsuit Boys Army Green ♥ Koko Noko summer ..
♥ Dirkje jumpsuit I Am Cool Navy White / Yellow ♥ Fast d..
♥ CarlijnQ jumpsuit short Road Trippin '♥ Spring / Summe..
♥ Jollein salopette Verlour Teal ♥ Fast delivery ♥ Fre..
♥ Jollein salopette Verlour Gray ♥ Fast delivery ♥ Fre..
♥ Jollein salopette Leopard Black & White ♥ Fast deliver..
♥ Jollein salopette Pretty knit Soft Gray ♥ Fast deliver..
♥ Fresh summer package Fest cobalt ♥ Fast delivery ♥ F..
Ready for your little one's outfit in one go? 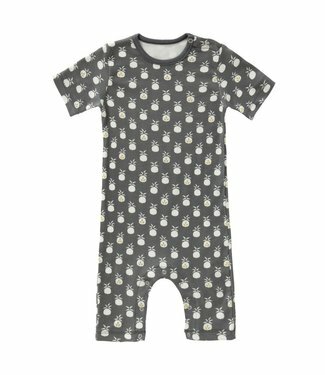 How about a cool onesie! Equipped with smooth fabrics so that it is great and the fit is perfect.